Parent can see the child's information by first selecting the child's name from the top right corner drop-down list (in case there are multiple children associated to the same parent). 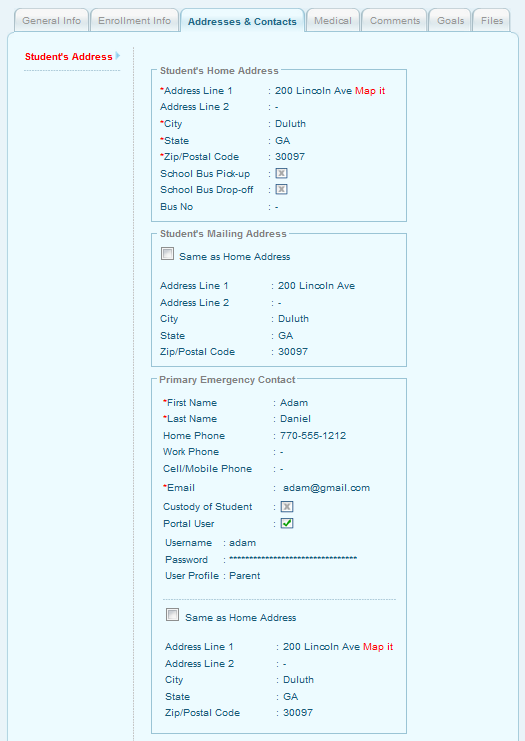 Then, from the menu panel select Students >> Student Info and the student's information page opens up. 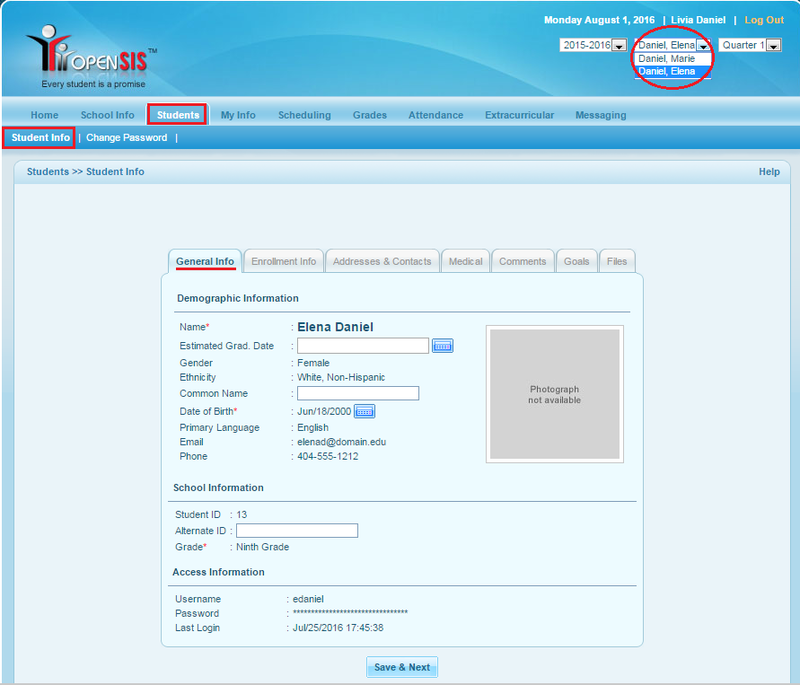 It displays the student's General Info, Enrolment Info, Addresses & Contacts, Medical, Comments, Goals and Files. Click on each tab to view the respective information. 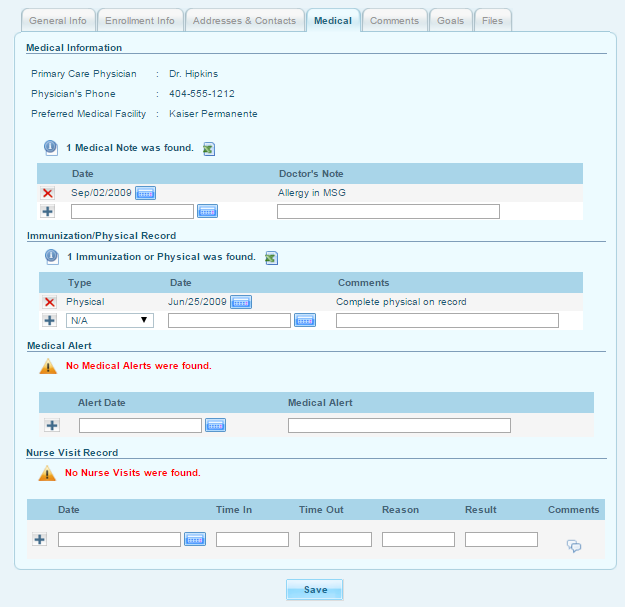 Medical tab includes all the medical related records along with the physician details. 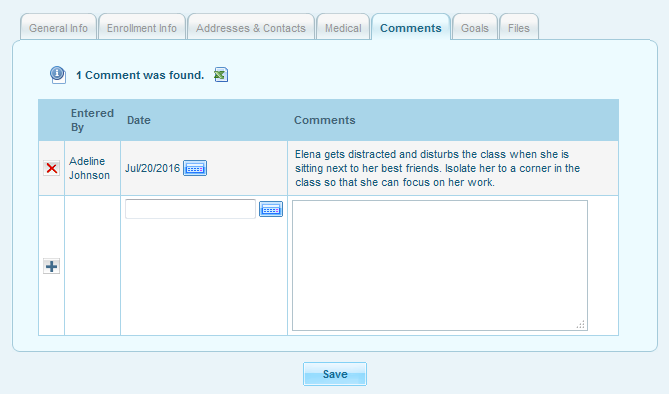 Comments tab includes any opinion made by the teacher or the admin with respect to the student. 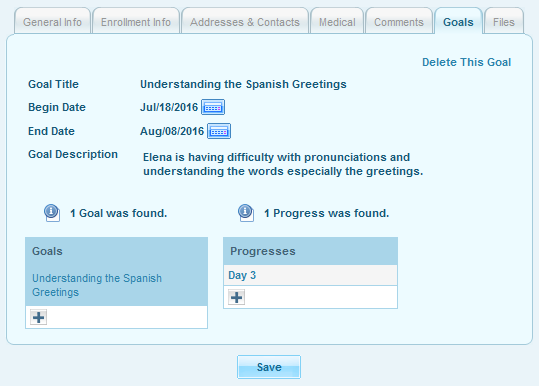 Goals tab includes added goals and its progress records with respect to the student. This information here serves as a catalyst in the parent-teacher meeting to learn about the student's performance updates in the class. Files tab displays the numerous files uploaded in various formats such as .doc, .txt, .ppt, .xls, .pdf, .jpg, .png, etc. for the student records.